Why Did the African Union Snub Haile Selassie? Addis Ababa, February 11, 2012 (Ezega.com) - African leaders gathered in Addis Ababa, Ethiopia, for the Assembly of the African Union this month. The leaders took the opportunity to inaugurate the new Headquarter building constructed at a cost of 200 million US dollars as a donation of the Chinese government. Amidst the many dazzling features enjoyed by the new facilities, striking was the statue in the forecourt of Dr Kwame Nkrumah, Ghana’s first President. Dr. Nkrumah is a well known and respected figure in African history for being in the forefront of the movement for African independence from European colonialism and for a proponent of Pan Africanism. Without denying Dr. Nkrumah the credit he deserves for all mentioned above and more, it still defies logic why his statue stands in the forecourt of the African Union building in Addis Ababa while there is no memorial whatsoever to Emperor Haile Selassie of Ethiopia. No one with any sense of history whatsoever can reasonably claim that Dr. Nkrumah played a more significant role in the formation of the OAU, now the AU, than did Emperor Haile Selassie. No one but Ambassdor Ketema Yifru, (Foreign Minister at the time), who seems to be all but forgotten as well, can make this claim without opposing the historical evidence. The leaders of the 32 independent African countries came together in Addis Ababa Ethiopia in May of 1963. Most of the public is unaware of “the shuttle diplomacy, the closed door negotiations and all the effort” preceding the creation of the OAU according to the Mekonnen Ketema, son of Ketema Yifru on his website dedicated to the creation of the OAU. The rift between the Casablanca and the Monrovia groups had seemed to dim all hopes of a united Africa with division along the lines of how and when to achieve African unity as proposed by Dr. Nkrumah. History records the untiring and brilliant diplomatic maneuvers taken by Ambassador Ketema Yifru in the months preceding the leader’s summit held in Addis Ababa in May. Ambassdor Ketema conducted a tour of the African countries with an invitation to attend the meeting to be held in Addis Ababa. With the leaders convened in Addis Ababa, Haile Selassie welcomed them with a rousing speech that charged the African leaders to seize the opportunity given them to forge a new path for the continent. Thirty two leaders signed the OAU charter and in recognition for the role that his Majesty had played as a unifying force, he was elected as the first president of the body. 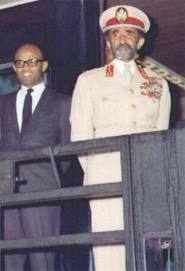 The acceptance speech he gave underscored his awareness of the step that had been taken that day towards African Unity. His Majesty stressed the importance of unity and stressed the need to avoid the pitfalls of tribalism and nitpicking. “Today, we look to the future calmly, confidently, and courageously. We look to the vision of an Africa not merely free but united…History teaches us that unity is strength, and cautions us to submerge and overcome our differences in the quest for common goals, to strive, with all our combined strength, for the path to true African brotherhood and unity” he said. The hope for unity expressed by Haile Selassie’s came one step closer to being realized when on July 9, 2002 at the meeting of African leaders in Durban, South Africa, the OAU became the AU. The headquarters of the re-born organization remained in Addis Ababa but not before Prime Minister Meles Zenawi of Ethiopia was forced to give a vigorous defense. The Prime Minister cited Ethiopia’s long commitment to the OAU under Haile Selassie and even Mengistu Hailemariam, leader of the military junta that overthrew his Majesty. The African Heads of State could not in good conscious deny Ethiopia’s right to host the headquarters of the African Union because of their awareness of the historic role played by Emperor Haile Selassie and Ambassador Ketema Yifru. There is little doubt that without the astute intervention of these two Ethiopian leaders and the respect that Haile Selassie inspired in African leaders of his generation, there very well may not have been an OAU no matter how inspiring Nkrumah’s dreams of Pan Africanism had been. The African Union remains in Addis Ababa, and thanks to the graciousness of the Chinese government has a spanking new building dedicated to its importance. The statute of Nkrumah, the visionary, adorns this new facility, but the question begs to be asked: where is the tribute to the two men most responsible for achieving the initial step of unity in Africa? 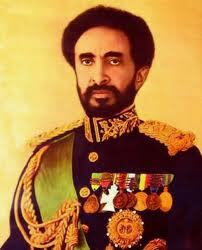 Where is the statue of Emperor Haile Selassie? Where is the plaque dedicated to Ambassador Ketema Yifru? It is my opinion that we as Ethiopians do a disservice to a proud page in our history if we fail to ask that our heroes take their place on the grounds of the African Union, regardless of reservations we may have on some aspects. Ghana has done Nkrumah proud and now it is Ethiopia’s turn to remember the men that earned us the privilege to host the union of African states in our capital. Meron Tekleberhan is Addis Ababa based reporter for Ezega.com.